The previous blog, Healthcare Practice Analytics 101, provided an overview of practice analytics. It focused on sources of data and its tremendous value for physician practices. 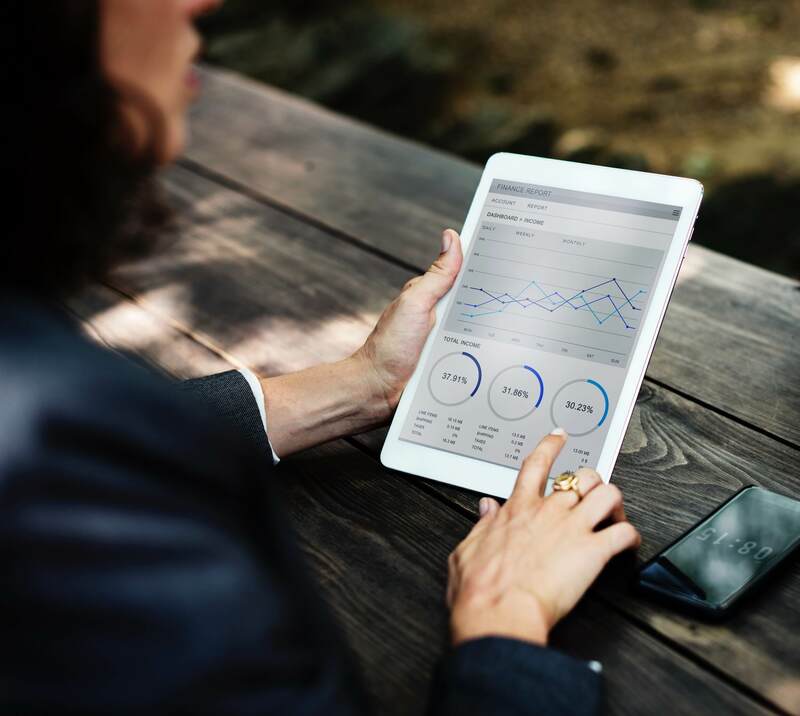 This blog discusses the four types of analytics and how they provide a better understating of physician practices. 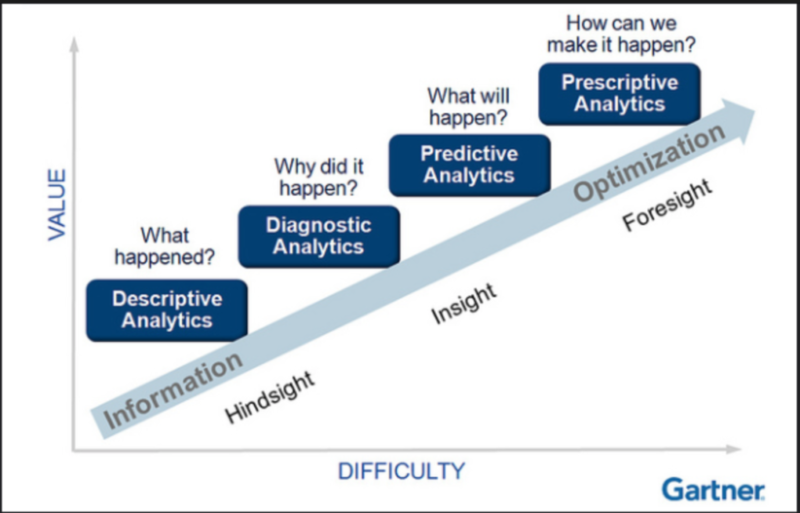 There are four primary types of analytics; descriptive, diagnostic, predictive and prescriptive. These sources allow you to experience your practice’s information across the entire data analytics spectrum. As an example, imagine that your practice has seen an increase in denied claims over the past several months. Increased denials have a negative impact on the financial performance of your organization. Therefore, you want tools to help you identify and resolve the root cause of the denials. This trend needs to be reversed as soon as possible, but how? The different types of analytics will provide insight into your data and the cause of the denial increase. Descriptive analytics will tell you what is happening in your practice. For example, there has been an increase in the number of denied claims over the past several months. Further research identifying a trend revealed that the increase in denials is specific to a particular denial code. In this example, the denial code is for a referring provider who is not being enrolled in the Medicare Provider Enrollment, Chain, and Ownership System (PECOS). Diagnostic – why did it happen? In our example, descriptive analytics has identified an increase in denials specific to a referring provider. The next step utilizes diagnostic analytics to understand why this change occurred. Identify why the referring provider is not enrolled in PECOS. In addition, looking for changes in referring provider patterns at the time the increase in PECOS denials began would help to identify new referring providers. It will also identify whether these new referring providers are enrolled in PECOS. For the purpose of this example, assume you identify one referring provider who is new to referring to your practice that is not enrolled in PECOS. Predictive – what will happen? Predictive Analytics allows you to learn from historical trends to predict what will happen in the future. Utilizing descriptive and diagnostic analytics, you can determine the historical referral pattern of the new referring provider not enrolled in PECOS. Assuming this provider remains not enrolled in PECOS and refers a steady volume of patients to your organization, predictive analytics will tell you the expected denials associated with these claims. The resulting impact of this situation is identified. Prescriptive – what should I do? Prescriptive Analytics assists in determining the best course of action from the information gathered from descriptive, diagnostic and predictive analytics. In this scenario, the best course of action would be to contact the new referring provider, express appreciation for the new referrals, but also evidence that the provider’s referrals are resulting in denied claims due to PECOS enrollment. By working with this provider to become enrolled in PECOS, denied claims can now be rebilled. In addition, future claims are less likely to be denied due to the provider not being certified/eligible to be paid for the procedure/service on the claim date of service. The key to prescriptive analytics is implementing a preventive solution that will prevent the same breakdown from occurring again in the future. By reducing the likelihood of claim denials, the overall financial health of the physician practice benefits. This is all thanks to the wisdom imparted by the use of the four types of analytics. A hospital-based radiology practice in New York was experiencing frequent denials due to referring providers who were not enrolled in PECOS. In May 2014, denials associated with a referring doctor not eligible to refer increased by over 1300% from the average monthly denial amount for the practice. The trend for these denials continued into 2015. It was at this time that the group decided to utilize Analytics as a tool to identify the root cause of the problem and implement a solution to reduce future denials. The practice began working directly with the referring providers who were not enrolled in PECOS. It then assisted them with becoming enrolled. The Analytics Solution monitored the status of each referring provider not enrolled in PECOS. A billing rule was implemented to resubmit denied claims when the status of the referring provider changed. The resubmission of denied claims from Not Enrolled in PECOS to Enrolled in PECOS, the likelihood of payment increased. The practice saw a reduction in their denials associated with PECOS enrollment. As a result of implementing new analytics tools to identify the problem and utilizing the data to identify solutions. Historically, the group experienced several thousand dollars in denials each month associated with PECOS enrollment. After executing an analytics solution, the group reported a reduction of PECOS denials. There was a period of ten consecutive months where PECOS denials did not exceed $500 for any given month. The practice continues to utilize the same analytics reporting tool to ensure early intervention of potential referring provider related denials. Does your practice capitalize on your valuable data? Contact IMP’s Analytics Team Lead, Tracy Keenan (IMPAnalytics@integratedmp.com) for a complimentary analytics demonstration to learn how IMP can partner with you to convert your data into wisdom.